Making something simple is extremely difficult. We imagined Dieter would want his Rams Saber to have a clean, minimalist form that is highly functional and super durable looking. With the hilt design, we took something basic as a rectangle and gave it soft contours that made it somewhat comfortable to hold. 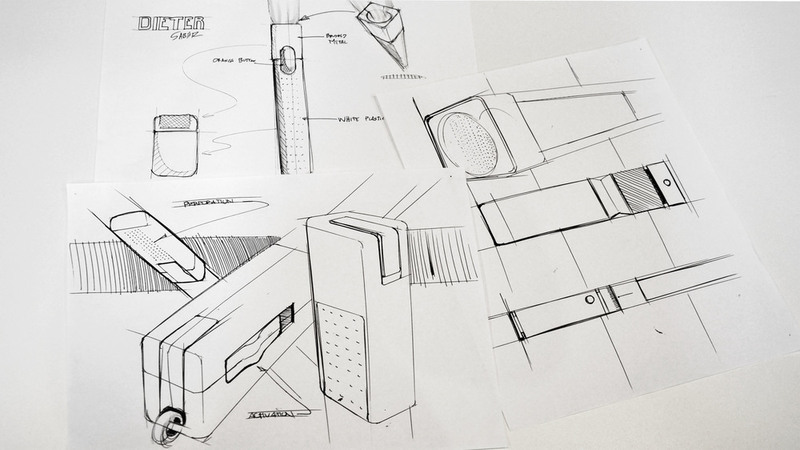 The simple form and minimal details provided the visual balance that captured the essence of Rams’ design principles. Born in Wiesbaden, Germany in 1932, Dieter Rams is a German industrial designer who trained and worked as an architect for a few years until he joined the consumer electronics manufacturer Braun. As head of design at Braun, Dieter emerged as one of the most influential industrial designers of the late 20th century by defining an elegant, legible, yet rigorous visual language for its products. He is also credited with the memorable phrase “Weniger, aber besser” which basically translates into “Less, but better”. Dieter used graphic design, form, proportion, and materiality to create order within his designs. His work does not try to be the center of attention; rather he allows his work to become part of the environment through precision and order. 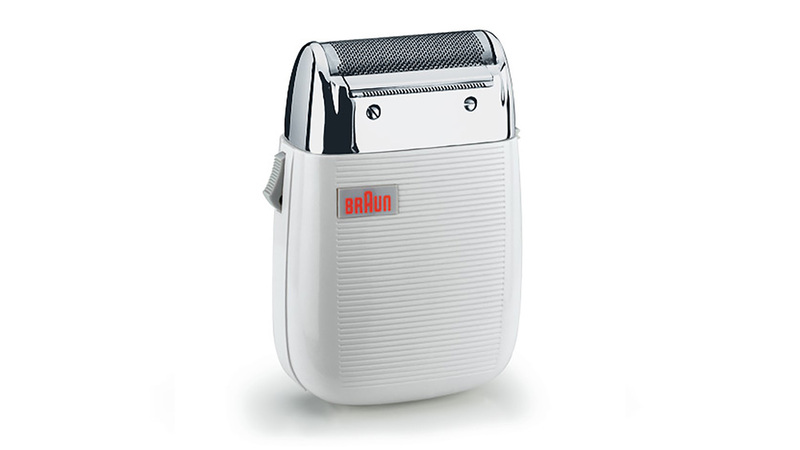 During his forty-year tenure at Braun, Dieter and his team designed many iconic devices ranging from record players to shavers and juicers that are elegant and versatile. 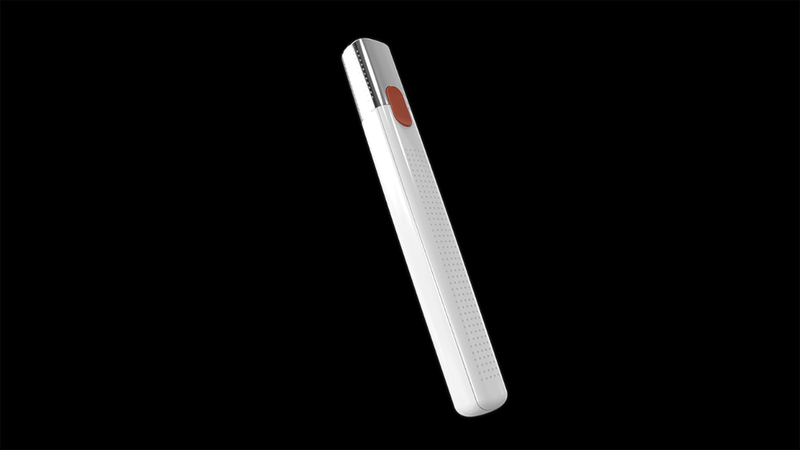 Rams’ objective was to design useful products, which would be easy to operate. His designs always looked effortless with an exquisite simplicity borne from rigorous tests and experiments with new materials and an obsessive attention to detail to ensure that each piece appeared flawlessly coherent. In the design circle, Dieter Rams is very well known for his Ten Principles for Good Design, aka Ten Commandments of Design. These ten principles defined Dieter Rams’ approach to “good design.” This was back in the late 1970s, and the principles still apply to how new generations of designers approach ‘good design”.